"I come from Antigua and Barbuda in the Caribbean. I write stories of and from the Caribbean. My first book was The Boy from Willow Bend and Oh Gad! is my most recent. You can check out my personal blog to see what else I’ve done in between and since. One of the things I do is run a writing programme in Antigua and Barbuda; there is a blog attached to that programme where, among other things, I blog on books. Surprise, right, a writer who loves to read. All disclaimers covered? Okay, here goes." As a Kincaid fan it’s absolutely shocking that I hadn’t read this book before now, but now that I have it just may have bumped Annie John from the top of my list of Kincaid favourites. I said may have, Annie was my introduction to Kincaid after all. But it’s hard not to be seduced by the language in Lucy Kincaid’s flow is masterful and her insights as provocative as ever; hard not to be drawn, despite Lucy’s acerbic personality, into this still quite relevant tale of a young au pair from Antigua redefining herself in the big city. 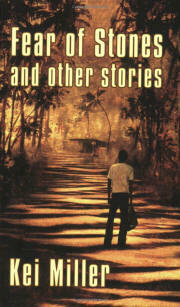 This collection of stories by the skilled Jamaican writer really did make my insides hurt. The writer does interesting things with voice and narrative style but it’s the way he draws you in and constantly engages you all while dealing candidly and compassionately with very touchy issues (such as sexuality) that will have you reading cover to cover. One online dictionary refers to a fanboy as an enthusiastic devotee of comics and movies, and that’s Oscar; he’s also an incredibly socially awkward character whose life is part of this epic and ultimately tragic tale of his New York based family and their home country the Dominican Republic (yep, there’s a lot of Dominican history mixed up in this one). As a writer, I found the unorthodox narrative structure and inventive use of language particularly interesting; coupled with the loves and heartbreak of young Oscar, it made for compelling storytelling. Sidebar: Okay, this one goes a little further back but I have to mention Edwidge Dandicat’s The Farming of Bones, which brings to life a tragic moment of the border of Haitian and Dominican history, because it is one of my all time favourite books. Marooned is how the main character in this book feels. She is an expat who moved with her husband to colonial Trinidad and for the next several decades as the country transitions into Independence and post-Independence also sees her marriage devolve through passion into dispassion. She is the hot and bothered fly on the wall observing the country’s changing political and social landscape; she is the unhappy wife competing with the island for her husband’s affection even as she tries to make life there. But what really makes it a fascinating read is her read on the real life characters fictionalized versions of the likes of Eric Williams, Sparrow, Brian Lara, and others who people this soapy read; and her bold exploration of island tensions of race, of class, of belonging, of politics, of negotiating genuine relationships at the crossroads between local and expat unease. Aside: two other blog picks worth mentioning from the land of the Hummingbird are Elizabeth Nunez’s Prospero’s Daughter (for the Shakespeare lovers) and Ramabai Espinet’s The Swinging Bridge (for those with an interest in indo-Caribbean culture). That this 1930s book was written by the Dominican born author of Wide Sargasso Sea is really the only thing Caribbean about it. But I really wanted to include this sad, compact tale of a woman at loose ends (and in dire financial straits) at the end of an affair. Her emotional well being shaken by the break up and her mother’s death; shunned by her family; aging out of her youth and appeal, an air of desperation and resignation cling to her. In its handling of gender and in particular the humanity, non-conformist spirit, and complex interior life of her central character, Rhys created another book quite ahead of its time in feminist literary canon. 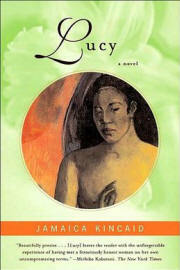 In the Black is the recently released collection of African Canadian writers edited by Antigua’s own Althea Prince. Some other collections worth mentioning might be harder to find. For some of the freshest and most interesting voices in contemporary Caribbean fiction, I’ve turned to collections like this year’s environmental themed Caribbean Writer Volume 26 and Womanspeak journal of literature and art by Caribbean women Volume 6. Ideally, I’d like to see them read in classrooms across the Caribbean, introducing students to new voices in Caribbean literature. Until them, you can seek them out online and subscribe.